From America's favorite storyteller: A rich selection of twenty-five tales by the author of "The Gift of the Magi." Writing under the pseudonym O. Henry, William Sydney Porter was an incredibly prolific and popular master of the short story in the early twentieth century. His stories are known for being witty, playful, full of plot twists, and marked by surprise endings. The author had a special fondness for New York City and a deep interest and appreciation for the ordinary folk who populate his timeless tales. First published in 1911, his eleventh collection features such classics as "The Duplicity of the Hargraves," about a destitute Confederate major and his spinster daughter in Washington, DC, and their encounter with a vaudeville actor; as well as "Makes the Whole World Kin," about a thief and a sick old man who form a surprising bond. Once entered, O. Henry's world becomes an unforgettable destination, and over a century later, readers continue to return -- again and again. Sixes and Sevens includes "The Duplicity of Hargraves," "Makes the Whole World Kin," "The Last of the Troubadours," "Witches' Loaves," "The Adventures of Shamrock Jolnes," "A Ghost of a Chance," "New York by Camp Fire Light," "Ulysses and the Dogman," and more. Log In to track O. Henry on eReaderIQ. 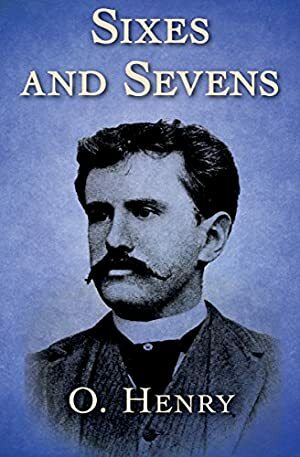 to be notified each time the price drops on any book by O. Henry. to stop tracking O. Henry. We started tracking this book on October 26, 2017. The price of this book has changed 13 times in the past 541 days. The current price of this book is $2.51 last checked 4 hours ago. The lowest price to date was FREE last reached on April 4, 2019. The highest price to date was $2.51 last reached on April 5, 2019. This book has been $2.51 3 times since we started tracking it. We last verified the price of this book about 4 hours ago. At that time, the price was $2.51. This price is subject to change. The price displayed on the Amazon.com website at the time of purchase is the price you will pay for this book. Please confirm the price before making any purchases.